The best thing, or at least one of the best things, about Amazing Adventures is the fact that it is based all around Castles & Crusades. So not only is everything for C&C compatible with it, everything that works great with C&C also works for Amazing Adventures. 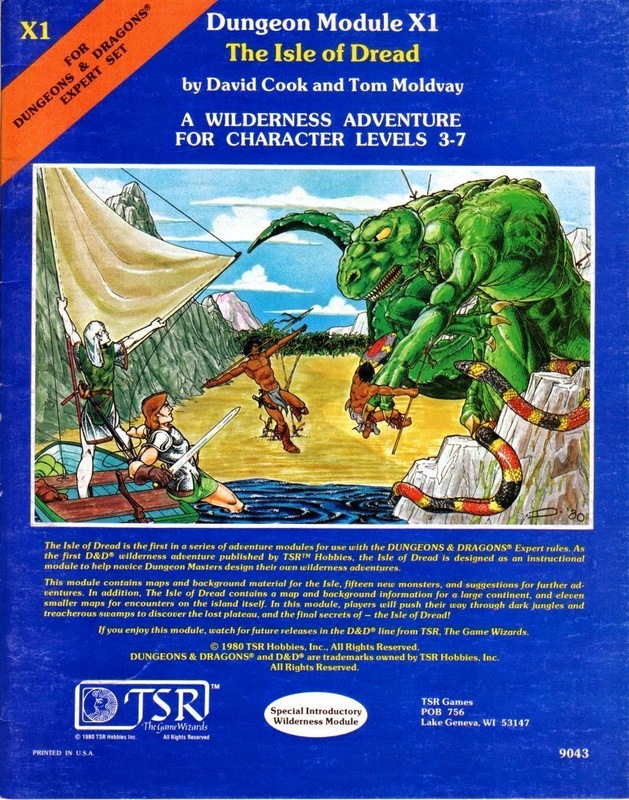 This means a lot of classic AD&D adventures can be played with little conversions needed. 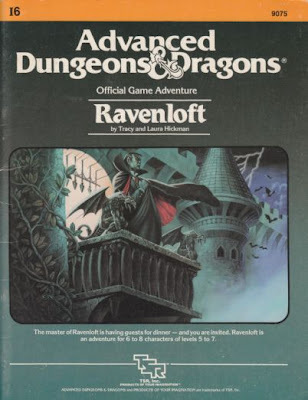 I spent some time this past weekend going through the original I6 Ravenloft Module. Pretty much everything in the adventure is covered in the Amazing Adventure Rules. In fact things might work out a little bit better. Imagine your party of world travelling adventurers. You have a big game hunter, a scientist, a gadgeteer, maybe a socialite. All travelling by train to some dark corner of Eastern Europe. That is till the mists roll in and train has to stop. A carriage comes to pick you up and takes you to small village of Barovia where is looks like time has stood still. People are fearful of you. Soon you learn of the castle in the mountains and the Lord of the castle is inviting you to dinner. Additionally Strahd can cast spells as an 10th level Arcane Spellcaster (Int based). He is protected by a ring of protection and an amulet that prevents him from being turned. If Hammer Horror is not to your liking then change the location to the deep jungles of South America or Africa and replace the castle with a crashed spaceship. 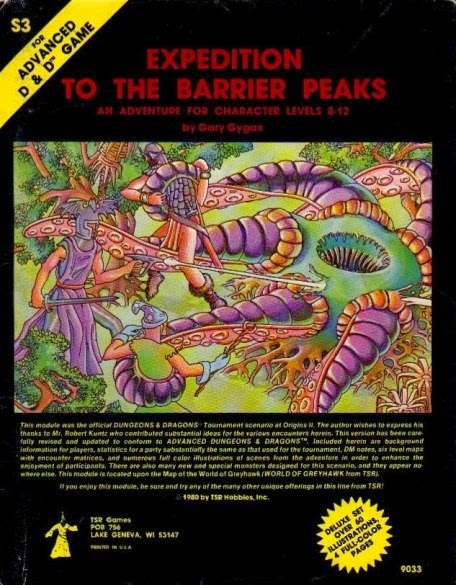 Expedition to the Barrier Peaks is one of the odder adventures out there, and certainly one of the most fun for my money. The high tech works just as well on the characters of the Pulp era as they do on quasi-medieval fantasy. But AA offers something a bit more to the mix. First off I replaced the Mind Flayers in the adventure with a malevolent type of Grey. When the adventurers arrive the ship is just waking up and will soon begin it's conquest of the world. The Pulp Era though predates "saucer men" by a few years at least in the public consciousness. Compare for example the serials of the 30s vs. that of the 50s in how aliens were depicted and treated. If you want pure pulp action then replace the creatures in the modules with the various Lovecraft Mythos monsters found in the book. Mind Flayers afterall have a vaguely "Cthulhu-ness" about them anyway. Fill it full of shoggoths and Spawn of Shub-Niggurath. The plant spawn make for good vegipygmies. Add more fun and have it so the ship had crashed into the Earth 65 Billion years ago and have all these dinosaurs in stasis. That is of course until the ship systems start to wake up. A monster romp on a tropical island. The Isle of Dread has far more in common with the 1933 King Kong than it does with fantasy swordplay. The Amazing Adventures core book already has a number of dinosaurs (and the d20SRD has more) and monsters that work well with this adventure. Plus going by steam liner makes much more sense for our Pulp Adventurers. Isle of the Dread is essentially a "Lost World" sort of adventure and that fits the Pulp story telling perfectly. Ok so our intrepid Pulp adventurers will fight vampires, aliens and dinosaurs. Unlike their fantasy counterparts they will be armed with guns instead of swords. As we have seen in movies time and time again a gun is not very effective against the undead. A pistol is about as effective (pro and con) as an arrow against a rampaging dino or giant beast. And in Barrier Peaks? Well they have the chance to find "ray guns". So guns may not really give the character the edge you might think. I am sure there are others that would work equally as well, but these are the big three genre-bending modules with roots near the pulp era. In any case there is enough here to keep your players happy for a while even if they played these classics in the past.